Thanks to a tie-up with Vodafone, PS Vita owners will be able to connect any time and anywhere when the revolutionary handheld launches in Europe in February 2012. The high speed and extensive coverage of Vodafone's market leading network will ensure that PS Vita users will have a great connected experience wherever they are. Vodafone will be the preferred provider of 3G connectivity in the UK, Ireland, Italy, Germany, Spain, Portugal, Australia, New Zealand and The Netherlands, and with Vodafone's partners in France (SFR) and Belgium (Belgacom). In selected countries, the PS Vita 3G/Wi-Fi model will come with a Vodafone SIM card so that users can immediately enjoy social gaming experiences on the go. Customers will also be able to buy the PS Vita 3G/Wi-Fi model direct from Vodafone, both online and in-store. In addition, customers connecting with Vodafone will receive a PlayStation Network voucher code to download the high speed, anti-gravity racing title WipEout 2048 from PlayStation Store at no extra charge. Vodafone's high quality network will assist in enhancing the portable gaming experience and allow owners of the PS Vita 3G/Wi-Fi model to unite with their friends and the world around them. 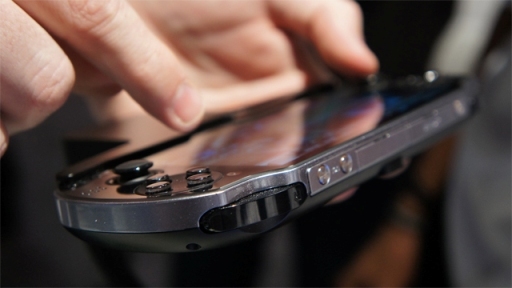 With 3G and Wi-Fi connectivity, gamers can stay constantly connected to their PlayStation world and their friends using the PS Vita system's bespoke gaming and social network applications. The Near application on PS Vita allows users to discover the games other PS Vita owners are playing nearby. Near also enables location-based gaming features such as gifting, where users can share and leave behind virtual items, such as costumes and treasures, at locations they have visited. Gamers can also stay in touch wherever they are with Party, a pre-installed application on PS Vita which enables users to enjoy communication features during online gaming or internet browsing. PS Vita owners will also be able to keep in touch and update their gaming status via the dedicated applications for Facebook, LiveTweet for PlayStation Vita and Foursquare. Let us know what you think of Vodafone in the comments below!